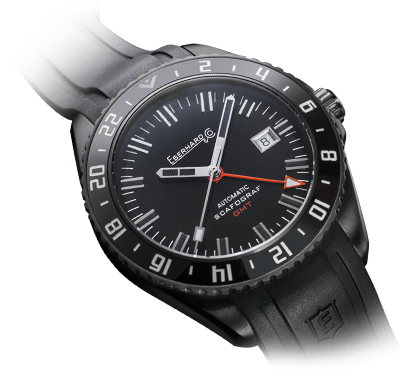 Find Your Eberhard & Co. The ‘Scafograf’ collection becomes even more captivating and exclusive with a special limited edition, the name of which conveys all the unconventional spirit of the new model: THE BLACK SHEEP. Dedicated to the gentleman who loves to express his personality and remain ever-faithful to his values, with all the determination of one who knows they are different by nature and shares that pinch of irreverence which is the key to their charm. When being a ‘black sheep’ means having tons of charisma and personality. 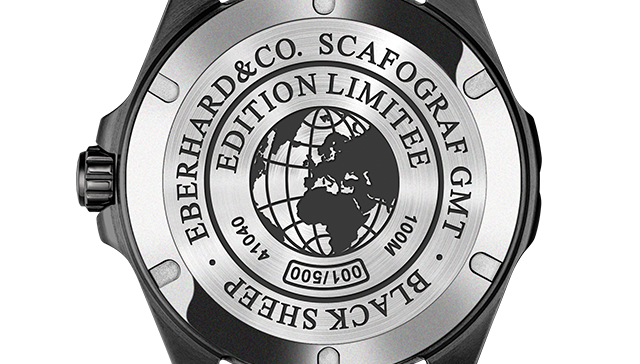 The Scafograf Black Sheep will be made in 500 totally-black-look specimens animated by an automatic movement with a triple time zone function. Black dominates, starting from the 43mm steel case with its DLC® treatment, which provides this model with a decidedly sporting allure. 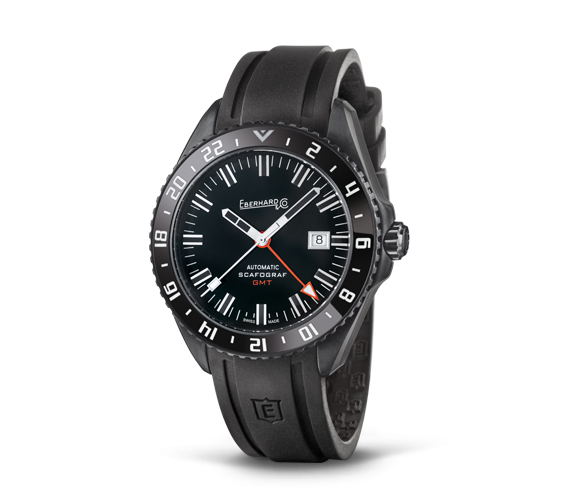 The dial and two-way rotating bezel with ceramic insert and luminescent indices are also in black. 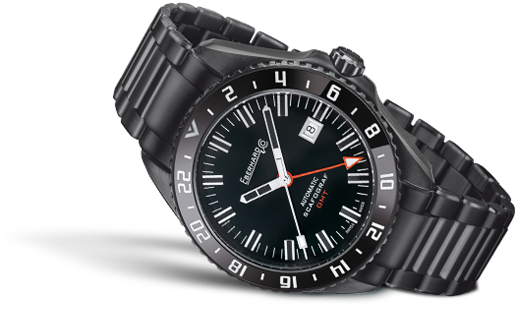 100 metres water resistance, the Scafograf Black Sheep comes with a rubber integrated strap, in black or orange, personalized with the ‘E’ coat of arms, the emblem of the Maison. Also available with the Chassis® DLC®-treated steel bracelet and deployment clasp Déclic® (patented), DLC®-treated. The screwed case back is uniquely customised, featuring a stylised hemisphere with time zones and the engraved name of the model. 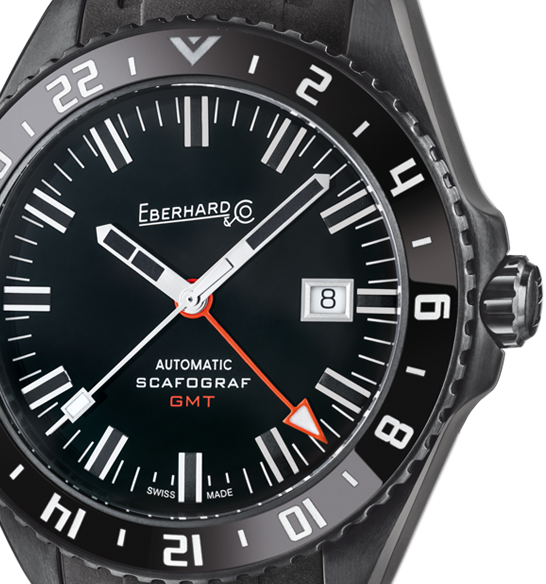 For info about the technical features of the Scafograf GMT – The Black Sheep including downloadable material such as the user manual.